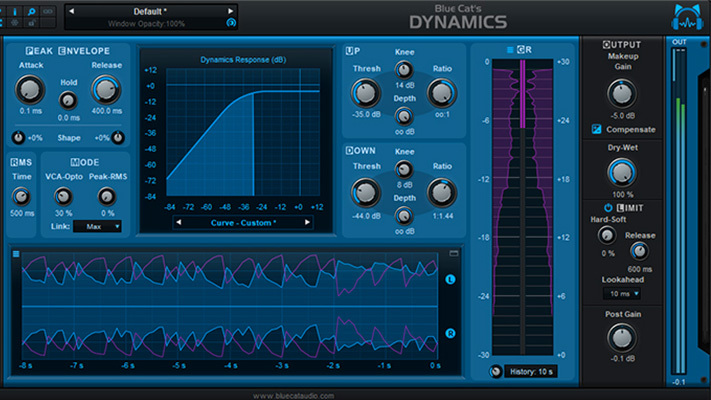 There are plenty of software compressors out there competing for your plug-in dollar. Almost all of them provide the same classic array of controls. Many are modeled after famous vintage analog compressors, while others provide variations to the classic controls in the form of external linking, algorithm selection, equalizers and Mid/Side mixing capabilities. Common to all these devices is the user interface presentation of controls and monitoring facilities. Beyond the effect of the plug-in on the sound passing through these devices, it’s often the graphic user interfaces that often make or break the success of a particular unit. Layout and operational feedback are the key elements here. I’m going to briefly touch on most of the control by control descriptions of the FabFilter Pro•C 2 in this review because their presence and functionality are well-accepted industry standards and don’t require elaboration. Suffice to say that the Pro•C 2 has all the standard compression controls supplemented with some excellent additional features (which I will touch on). What I want to focus on is what I believe separates the Pro•C 2 from the rest of the field: it’s ability to provide the most detailed operational information I’ve ever encountered in a plug-in. 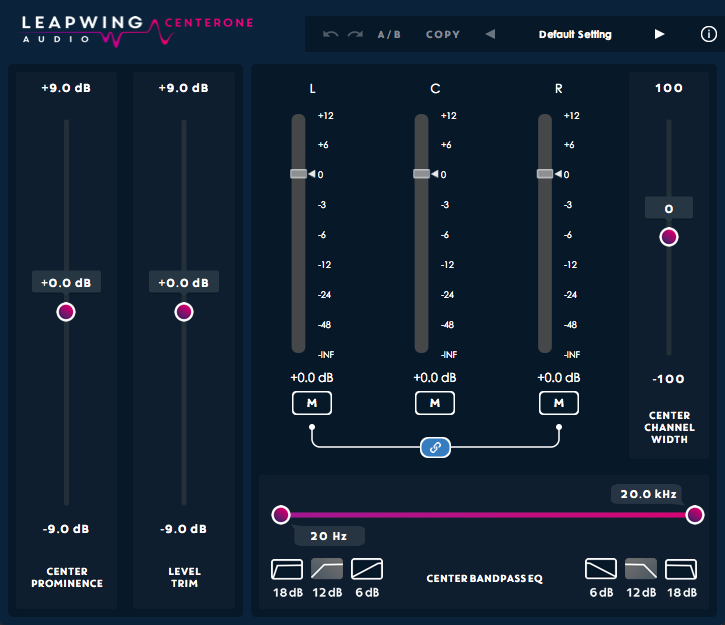 This is the first plug-in compressor I’ve ever used that clearly lets the user know what’s being done, both sonically and visually, to the audio signal. How does it sound? All the standard controls are resident: Threshold, Ratio, Attack, Hold, Release, and Knee. There is nothing out of the ordinary about their functionality. I placed C 2 across a wide range of material using the factory presets as starting points and was not disappointed with the results. This interface may look complex at first glance, but as I used it, it only took minutes to realize how deceptively intuitive it is to use and how quickly it was to adjust it to arrive at a perfect compression solution to the material. It is an excellent compressor. And fun. I can’t say that about many other compressors out there. 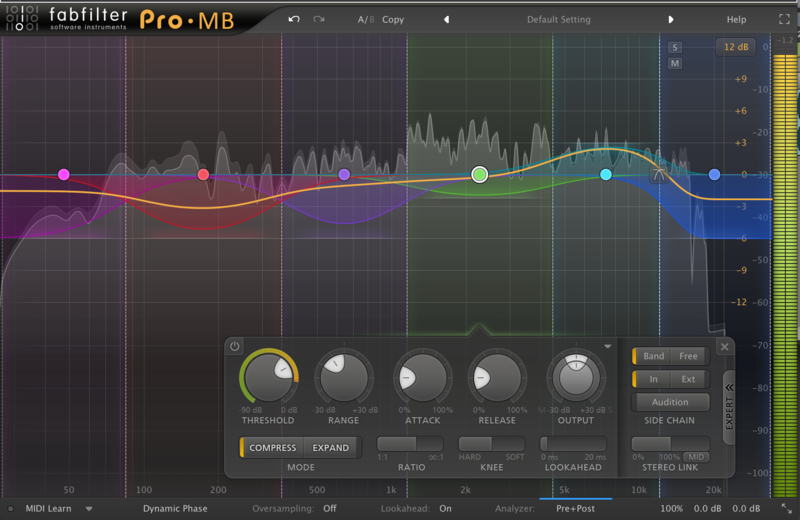 It’s those “extra” parameters FabFilter adds that separate this compressor from the pack. A drop-down menu presents 8 different styles of compression: Clean, Classic, Opto, Vocal, Mastering, Bus, Punch and Pumping. They represent emulations of various compressor models. Each style has a characteristic that influences harmonic distortion, knee, and ratio to some degree or another. You can really get a sense of how they influence the signal when you activate the Audition Triggering button on the Threshold knob. More on Audition Triggering later. The Side Chain section is a comprehensive bit of kit presented in a manner that makes it easy to understand and use. 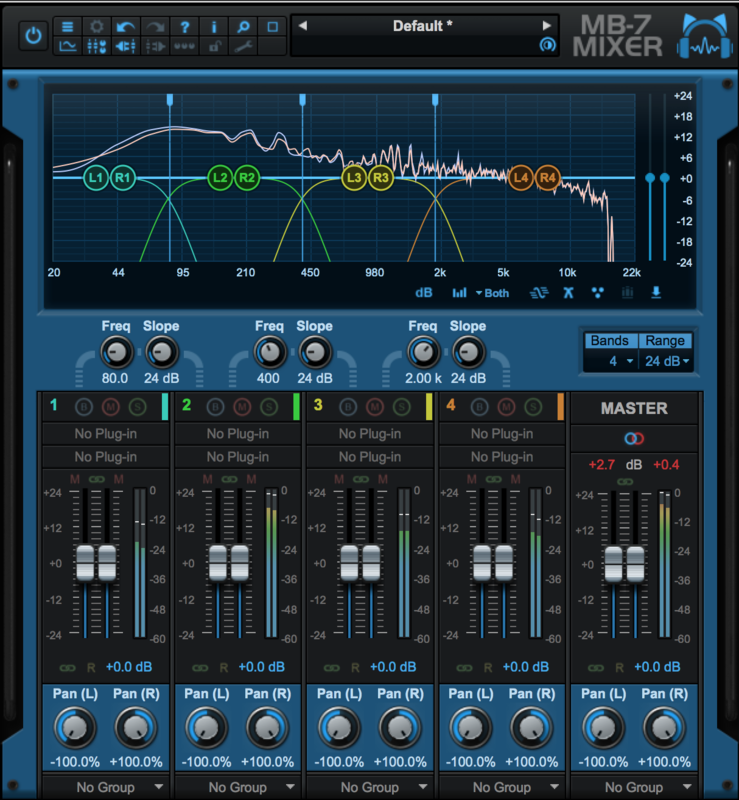 Besides being able to switch between the plug-in’s normal audio input and an external audio source to feed the compressor’s detection circuit, there are a set of Stereo Linking and Mid/Side controls, as well as a versatile Side Chain EQ to further tailor the compressor’s response to incoming signals. The Linking slider control is a clever wrinkle on the channel link function in that it is variable as opposed to the traditional all or nothing linking of other compressors. The slider also selects between normal stereo, mid-only or side-only processing. The slider increases the stereo linking until it reaches the 100% point (fully linked). Past that and it begins to affect the mid or side signal as determined by the Stereo Link Mode button below it. This gives you four variations of what gets compressed: Mid, Side, Trigger on the Mid signal/compress the Side (M>S) and visa-versa (S>M). Really versatile, particularly for mastering. The Side Chain EQ is made up of an LPF and HPF with adjustable rolloff responses along with a fully parametric midrange control. Once all three bands have been set, they can be adjusted along the frequency spectrum independently or linked together depending on how the bands are selected. And if that weren’t enough, it is possible to trigger compression with MIDI Note On-Events. This is a cool feature for getting some really interesting “special effect-y” results. 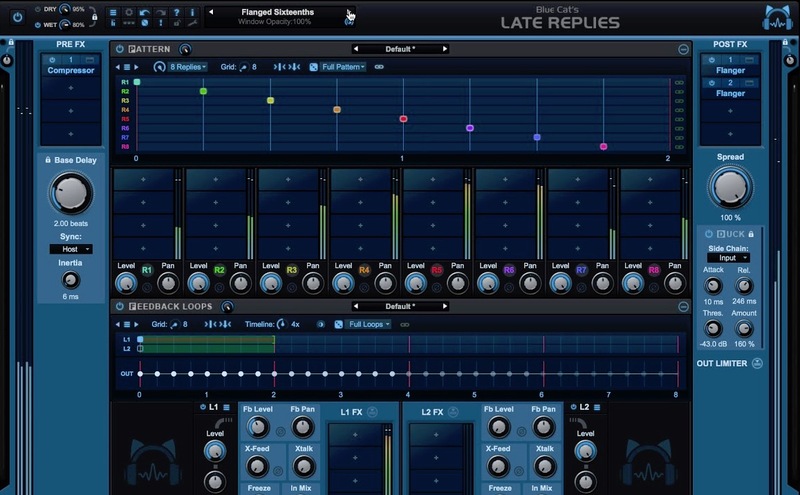 I tested The Pro•C 2 in Cubase 9.5 which implements the VST3 standard for side-chaining. 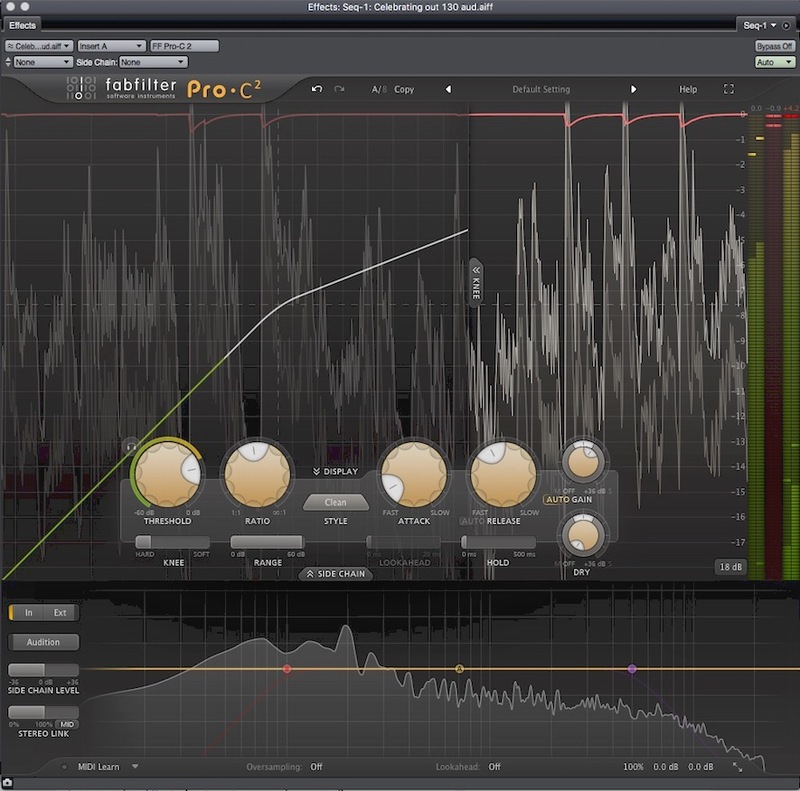 As the Pro•C 2 is VST3 compliant, it made external side-chaining a breeze to use. There are also Oversampling and Lookahead controls to round out the feature-set. 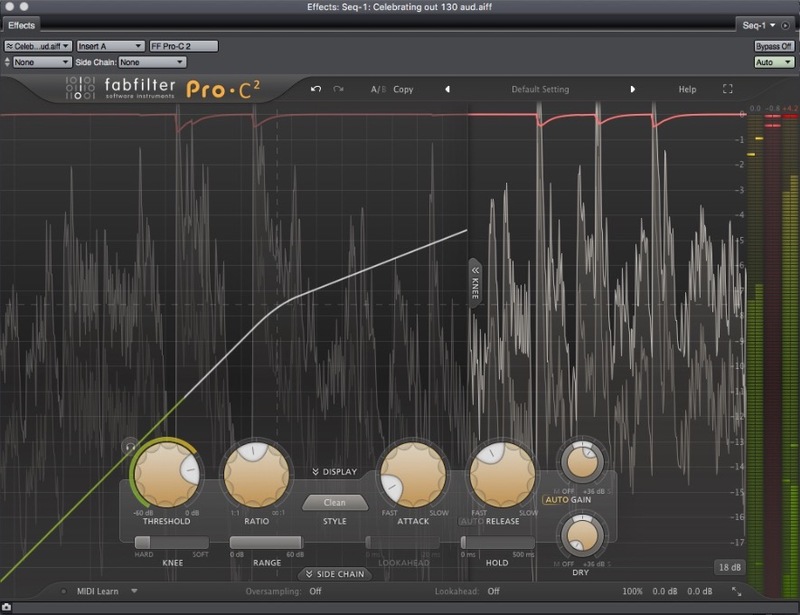 What truly makes the Pro•C 2 special is FabFilter’s attention as to how things are monitored and how this information is presented to the user. A number of view buttons let you see how much (or little) of the interface is viewable. Depending on view settings, the set of Peak Level meters, displaying Input, Output and Gain Reduction, can be made visible and vertical on the right of the interface or horizontally under the dynamics control. You can custom tailor the display to show as much or as little as you need. There is an animated scrolling display of the incoming signal with a visual indication as to how the parameter settings are affecting it. Of note is the ability to turn on or off the Knee display, which shows the compression curve. The relationship between the input and output is shown by animating two different colored curves across the display. But the feature that absolutely floored me is the Audition button associated with the Threshold control. 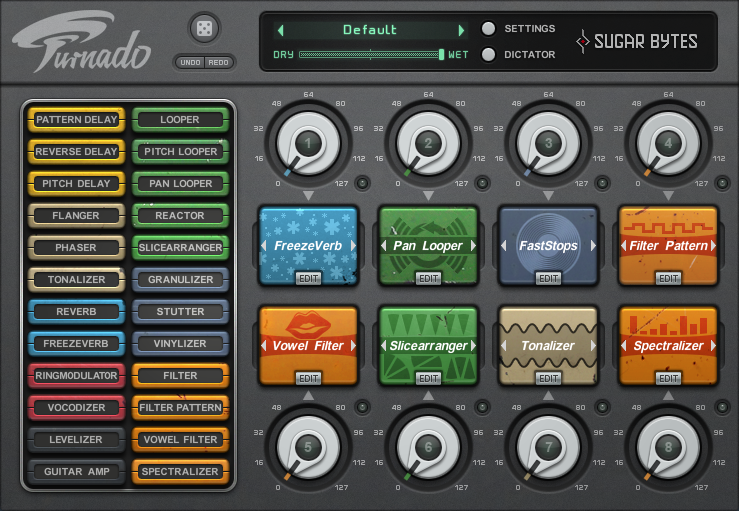 This allows you to hear just the signal that passes above the Threshold, giving you immediate audio feedback as to exactly how the compressor is responding to all of your dynamic settings, including the Style Selector. Switching between the various styles while in Audition mode gives you a clear understanding of how each mode affects the signal. The Audition mode plus combination of the animated signal display and all its associated elements makes this feature a major game changer. Really…this is brilliant. There is also an audition mode for the Side Chain section, making all the adjustments for it easy to grasp as to what’s doing what. Then there’s the contextual help. Rolling over any function on the interface presents an explanation as to what it does. And not some cryptic foreshortened nonsense, but a full explanation…. making a trip to the well-written manual itself pretty much unnecessary. Contextual help comes defaulted on, which is great when you open the plug-in for your first run. It can be disabled at any time. The feature-set, sound quality, user interface and attention to detail on this thing is incredible. I have none. This plug-in is damn near perfect. One thing: I wish there was a Clipping limiter on it as a safety valve. Nothing I’ve written will do this compressor justice, so I suggest downloading a fully functional 30-day demo here: www.fabfilter.com/download/pro-c-2-compressor-plug-in …and try it out. You will love it.